This project has been a work in progress since around the start of August 2005, I decided to develop a suite of test sessions that were not based on the typical Dyno Run / CPU readout style of benchmarks that have been the norm previously. The Project has evolved over the years to now include dedicated benchmark sessions for Nuendo / Cubase , SONAR and Protools as well as the DAWbench DSP Universal benchmark , which also includes Reaper , StudioOne, and Logic as well as the applications listed previous. The tests and ongoing threads have definitely uncovered a large number of variables that can be explored , we have learned a great deal in the process , and I have no doubt that the collective and ongoing discussion can be a benefit to all. 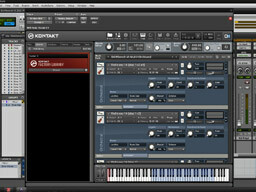 The Project was also featured in an article in Sound On Sound in July 2006 Here , and has been featured in many subsequent articles relating to DAW performance. I have configured a dedicated forum for not only the existing test sessions, but all of the future benchmarks that are currently in development. If you can contribute in any way, please feel free to contact me via email, or register and post in the forum. 320 x Insert Plugins - 8 per Sine Wave track inactive - to be turned on one at a time until session is overloaded. Native sessions for Cubase and Reaper. 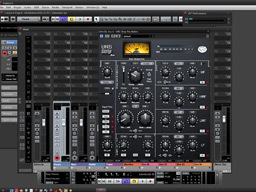 The test session can be easily configured in any DAW application. 16 x Midi Tracks - Musical Content. 160 x Midi Tracks - Polyphony. 11 x Kontakt 5 - All instances with 16 multitimbral parts. 10 x instances with polyphonic parts inactive, to be enabled during playback. Each part adding 20 notes of sustained polyphony until session is overloaded. This Benchmark focuses on Virtual Instrument / Sampler performance based on a similar methodology of the DAWbench DSP Universal test. The initial template is progressively loaded with added VSTi/Sampler elements until the session is overloaded.